I have tried ALL of them. I use about 1 or 2 of these per week depending on my facial needs. My skin can be dry or oily depending on the make up or weather. All of them are moisturizing and my skin looks dewy when I put on BB creams or foundation. 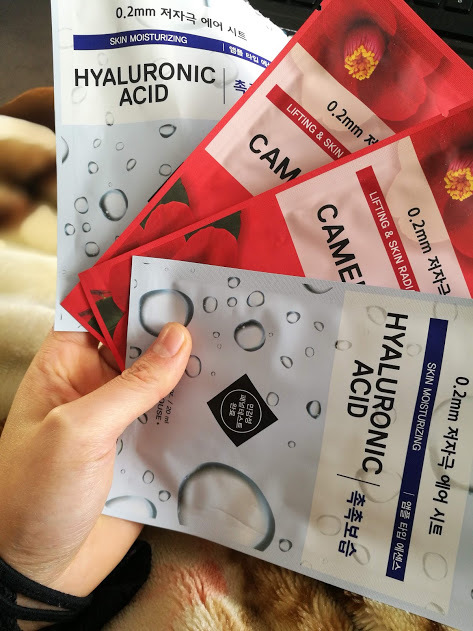 Camellia is very moisturizing and I use it after a day of heavy makeup or when I feel my face a bit dry. Also, my skin tone is medium and I tend to get dark spots with sun exposure so I use lemon, strawberry and pearl. I get random skin breakouts and I fix it with a tea tree mask. I have to cut the holes with scissors to make them bigger for my eyes and mouth and I also end up making a couple of folds because the masks are a bit long. 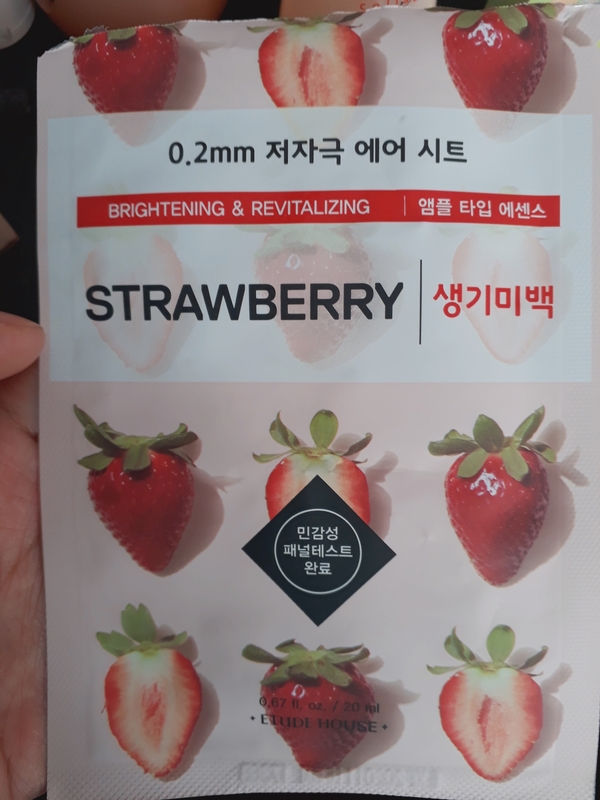 The mask material is thin and the product absorbs easily. This mask is a miracle! It leaves my skin super soft and moisturized. Would recommend this mask to anyone! Its super affordable and a great quality for its price. 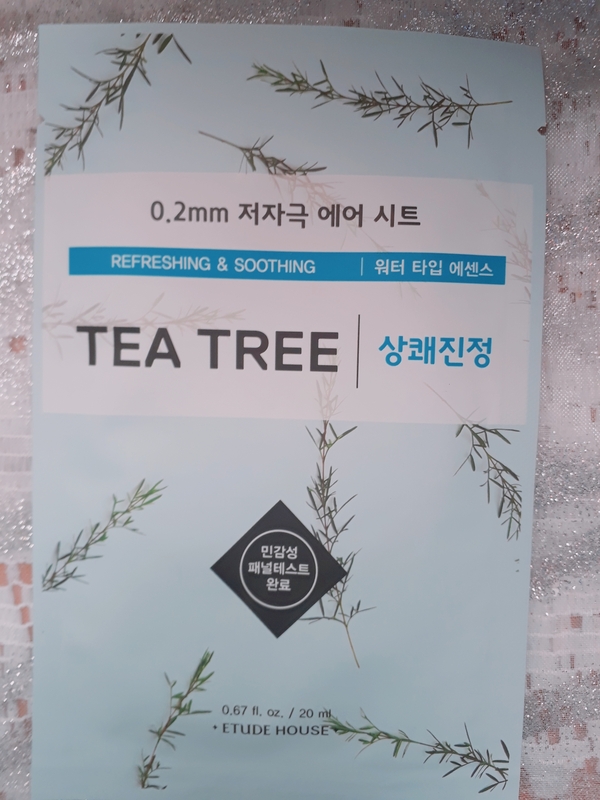 I HIGHLY RECOMMEND the teatree mask for those with acne prone skin. It helps alot! My favorite kinds of these masks are the emulsion type and the jelly oil type. The jelly oil type is especially fun, I love how thick and gelatinous the essence is!! The emulsion types are great for wintertime, and for days when your skin feels a bit more dry. I want to try the cream oil type this coming winter as well to see how my skin likes it. The only reason I give these four hearts out of five is because the water type essence is just SO. DRIPPY. It hydrates just fine, but it is hard to unfold the mask and put it on your face without getting the essence everywhere. 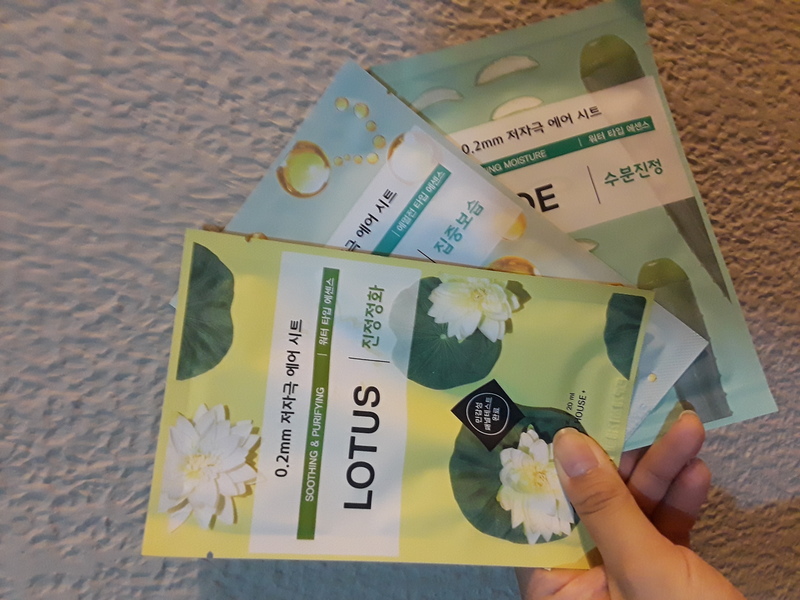 I really like these etude house masks! Super convenient to toss in my bag when traveling and they make great and easy presents. My favorite types are the green tea, the tea tree, the aloe, and the lemon! I got myself a bunch of these online and in store, they make really great gifts and I love that they all have their own specialty. The ones I got all smelled so good , leaving my skin feeling healthy and smooth. This masks are a must have for keeping my skin feeling smooth, nourished, moisturized and brightened, depending on my needs. I love them. It's good and moisturized my skin. É hidratante mas, perfeito para peles oleosas pois a pele absorve bem. Apesar de não prometer deixar a pele mais clara ele deu esse efeito, além de acalmar as vermelhas espinhas do meus rosto, acredito que ajuda na cura. Used it before bed and woke up with my pimples noticeably reduced! Loved it, ordering more that's for sure. I was a bit skeptical about the collagen one being really moisturizing, but it worked really well. I live in the US SW desert so it's super dry here. My skin on my nose was peeling and I've put on cream and another mask and it didn't seem to help. 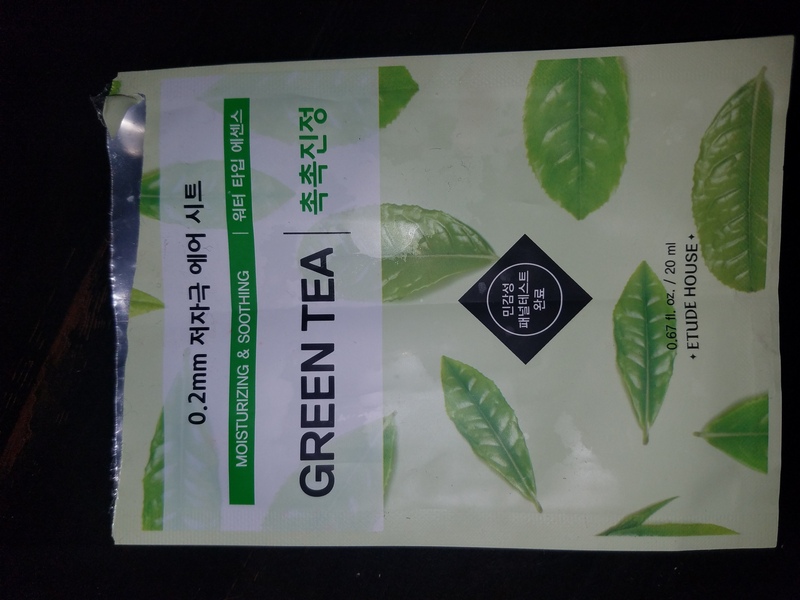 When I put on this one, it seemed to really make a difference and my skin stopped peeling off the next morning when I washed my face. Yay moisture! it didn't do much. It moisturized a little but it didn't last long. 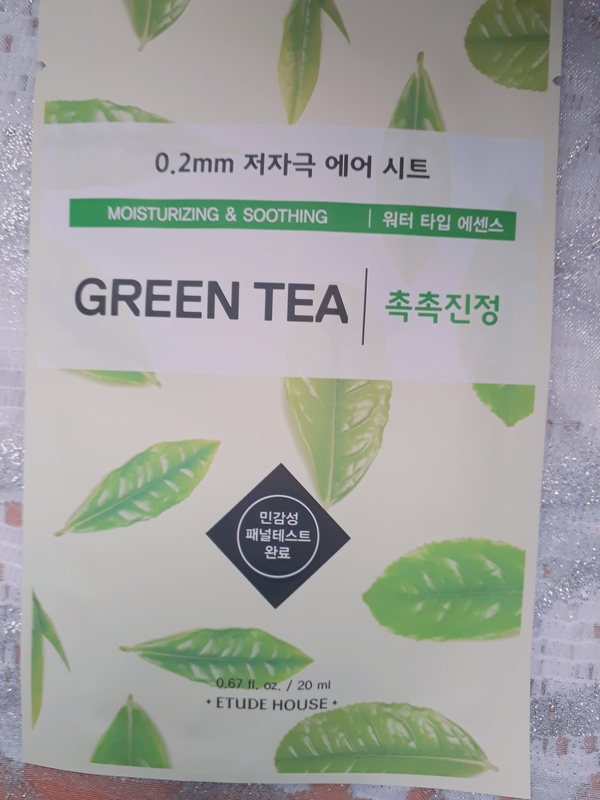 I loved this masks mainly the moist water type essence, absorbs quickly. I liked the soft smeel and the adhesion to the skin. I don't see tea tree mask. Are they out of stock? Also, when do these masks expire? The Collagen mask worked pretty well. The result wasn´t amazing but it did help a bit with my wrinkles. The Tea Tree mask really helped with my acne. Although it didn´t completly remove all the unwanted things it removed the worst ones after 2 uses!